When we think of custody battles, we often think of them in terms of mom or dad having rights to raise or house the children. But what about grandparents? There are instances when grandparents may provide a more loving, caring, and nurturing environment than one or both parents. For many years, grandparents had little rights to custody, visitation or time sharing over children. The logic was that allowing grandparents to have visitation or time sharing with kids instead of (or against the wishes of) the natural parent was an infringement on the constitutional parental rights over a child. This often led to harsh results that may not have been in the best interest of the children. If even a parent who is neglectful or creates a bad home situation has priority over grandparents, the parental right of that parent trumps the best interest of the child. That changed with Florida’s enactment of the grandparent rights law. 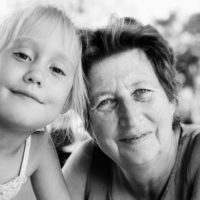 The law gives more rights to grandparents, but still is very restrictive as to when a grandparent can be awarded custodial rights over a child. This means that simply disapproving of how a parent is raising a child will not be enough for grandparents to win time, visitation or custody. Even if a child is being potentially harmed while with one parent, courts will favor more time with the other parent before considering placing the child with grandparents. If the findings are made that a parent is incapacitated, the court must then assess whether it is in the best interest of the child for grandparents to have visitation or time sharing, and whether granting time to grandparents will adversely affect the parent-child relationship of either remaining parent. The findings for parental unfitness or possible harm to the child must be by “clear and convincing” evidence, a heightened standard than what normally applies in family law cases. Grandparents seeking custody or time sharing of minor children must demonstrate that they have had a continued, ongoing relationship with the child, that they were involved in the ongoing support of the child, and that the participation in the child’s life by the grandparents pre-existed the situation that makes one or both parents unfit (death, going missing, or the vegetative state). The court can also consider the extent to which granting time with grandparents will minimize the trauma sustained by a child over the incapacitation of one or both parents. Like a “normal” custody battle that looks at the relationship between ex spouses, the court will also examine the relationship between the grandparents and the surviving parent to see if they are capable of co-parenting. Courts will not look kindly on previous hostility between the two parties. Grandparents will also be expected to refrain from exposing the child to influences that are discouraged by the other surviving parent–for example, taking the child to religious services for a different religion than the one in which the remaining parent is raising the child. Do you have questions about obtaining rights over a grandchild? Make sure to contact the Tampa family law attorneys at the Pawlowski//Mastrilli Law Group for a help and advice about custody, time sharing or visitation issues.